Physics MCQs Book For B.S and B.Sc Students - XpertShout Yayın bulunmaktadır. XpertShout is uploading physics MCQs book for BS & B.Sc students of physics department and physics study. This book is very important, specially for those peoples or students which are studying in Bs Physics or B.Sc Physics. 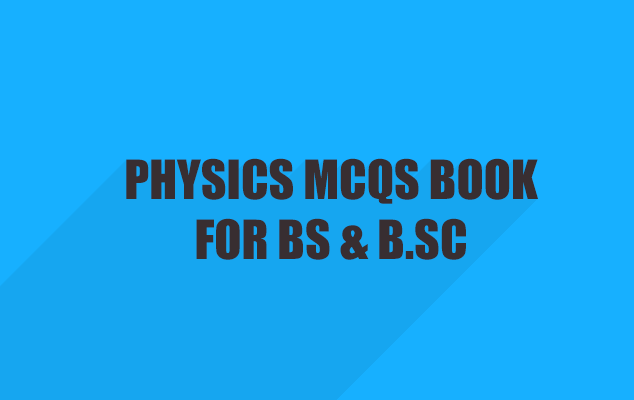 Because this book contains mcqs for BS and B.Sc course.This mcq's book contains near about 20 chapters mcq's of physics books that are being studying in many universities in Asia and Pakistan. This book is valid across all Pakistan universities. 95% mcq's are picked from this book. So, don't wait more. If you are in physics department then download this book for proper study and acquiring marks. Thanks.